On the basis of the outline published in 1996 (in German) we planned the contents of the terminology component of the translation curriculum: there are 3 compulsory courses on terminology (see Terminology Training in Innsbruck (2010) in German), the first is of a more introductory nature in the BA curriculum, plus two other more detailed courses in the master curriculum. Starting from 2013 I do not teach terminology courses any longer because somebody else has been put in charge of terminology matters. The compulsory module "Translation technology" (see "Translations Technology: Overview" (2005) in German as well as "Translation Technology in Translators Training curricula" (2012) in German) covers two courses within the master's curriculum. Again, I do the introductory course on basic concepts in translation technology on a product-independent basis with special regard to free and open software tools, as well as my translation-centered Linux system tuxtrans. When our faculty planned the new Bologna curricula I contributed a highly specialized module "Website Translation" to the master of translation studies. It is composed of three single courses as outlined in this presentation, this unpublished paper (2006) and this recent description (2011 in print). The third course will be supported by a server based platform with a selection of free CM systems and their specific translation extensions. Within the master's curriculum, I also do a translation course on legal text types in the language combination Italian - German. The number of supervised theses depends on the policy of the university and of the department, before 1998 it was not possible for me to supervise theses. "Professionalisierung durch Interessensvertretung - Anmerkungen zu einer Verbandspolitik in Südtirol", presentation at the 25th anniversary celebration of the regional chapter of translators UPT/LDÜ in Bolzano Free University of Bolzano, 19 september 2016. 25UPTLDU-sandrini.pdf 400k. "Multilingual Specialist Communication between Thought, Language and Culture", Plenary lecture at the 1 st International Conference From Theory to Practice in LSP, 19 – 20 February 2016, Zagreb, Croatia, organised by the Association of LSP Teachers at Higher Education Institutions. zagreb2016.pdf 1.1m. "Control over Digital Technology - Free and Open Source CAT Tools", Workshop at the 9th International Conference on Professional Communication and Translation Studies, 26-27 March 2015, Timişoara, Romania: Control Technology with FOSS tools.pdf 3m. 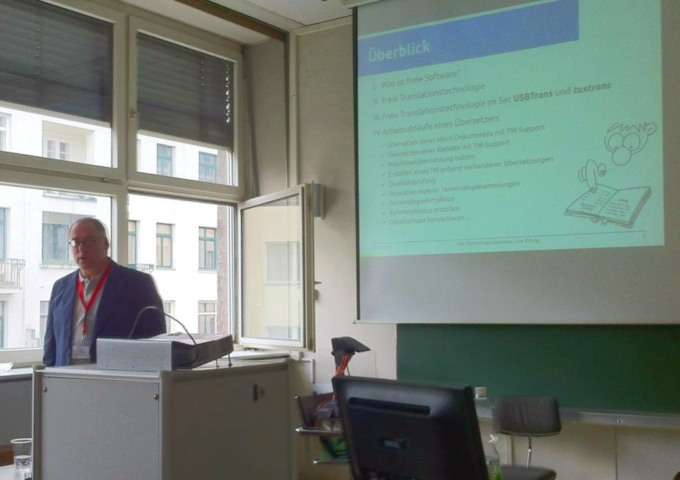 "OpenSource Tools - Freie Translationstechnologie für Übersetzer", Workshop Vienna, 60 years Universitas, the Austrian Translators and Interpreters Association 27.9.2014: freitrans.pdf 3m, picture. "OmegaT - das freie Translation-Memory-System", Workshop Bozen, 24/5/2014: ldu-intro.pdf 220k, evaluation 58k. "Tuxtrans, Linux per traduttori" Workshop held at the TeTra 3 on January 24, 2014 in Forlì, slides: wstuxtrans.pdf 880k, wstuxtrans-lingue.pdf 750k, wstuxtrans-installa.pdf 1200k and wstuxtrans-live.pdf 230k. "Open Data + Open Tools für Mehrsprachigkeit und Übersetzen". February, 23rd 2013, Bolzano, Italy, a 5 hrs course for the local translators association Landesverband der Übersetzer, program overview: opendata.pdf 300k, evaluation 58k. "Terminologische Eineindeutigkeit im Recht und Regionale Minderheitensprachen". Lecture at the conference "Drei Sprachen - ein Recht. Terminologie als Faktor der Rechtssicherheit in Belgien", Saturday June, 9th 2012 at the Ministry of the German Community in Eupen, Belgium. 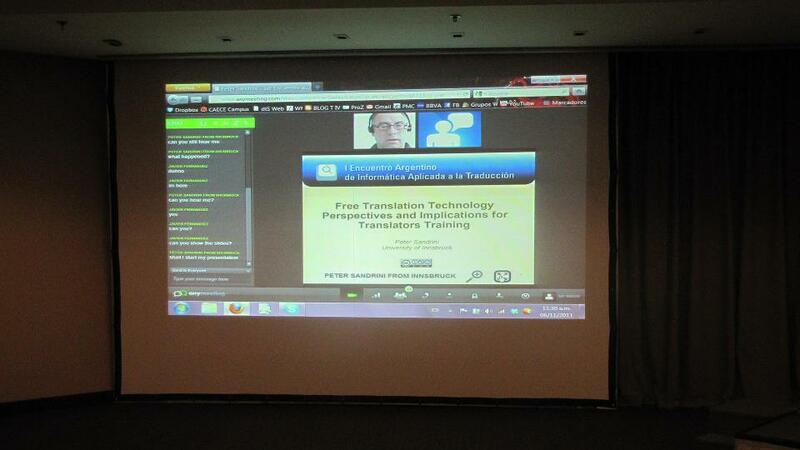 "Free Translation Technology? 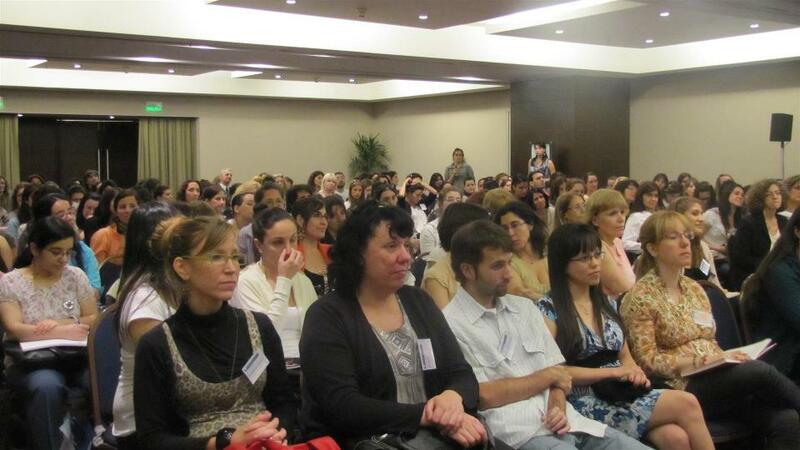 Perspectives and Implications for Translators Training”. Presentation by video conference at the "I Encuentro Argentino de Informática Aplicada a la Traducción", 6 November 2011, Libertador Sheraton Hotel, Buenos Aires, Argentina. Pictures: 1, 2, 3. "Free Translation Technology? Impact and Perspectives”. 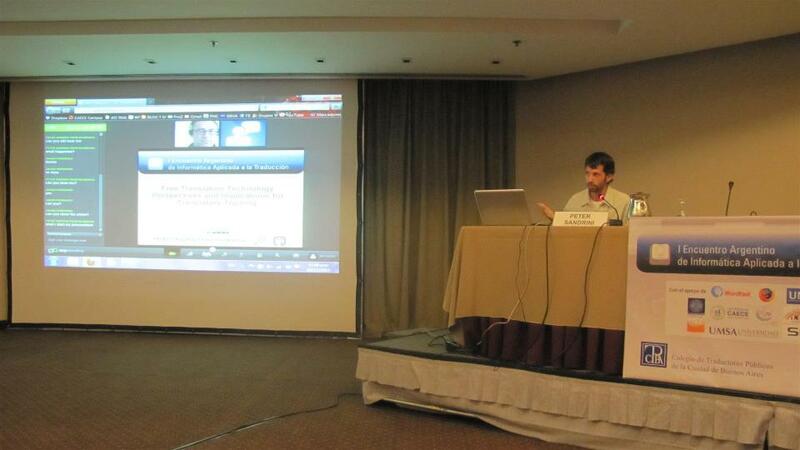 Plenary lecture at the "International On-line Conference in Translation and Interpreting Studies. Translation and Interpreting in the Digital Age: Perspectives on Practice and Research" (OCTIS11), 21 October 2011, Centre for Translation, Interpreting & Intercultural Studies, University of Salford, United Kingdom. Translationstechnologie: Grundlagen und Anwendungen. Kurs, 12 hrs course at the SummerTrans IV: Sprachenvielfalt in der EU und Translation. Translationstheorie trifft Translationspraxis. University of Wroclaw / Breslau, 4 – 13 July 2011. "Open Tools and Open Data”. Workshop at the 'Institut für theoretische und Angewandte Translationswissenschaft' of the University of Graz, december, 14 2010, together with Gabriel Luis Franchy. "L'uso di sistemi “Open Source” per la traduzione. Disponibilità, applicazione e problematiche". Scuola Superiore di Lingue Moderne per Interpreti e Traduttori, Forlì, Italien. 20. April 2010. Vortrag und Workshop. Freie Software für den professionellen Übersetzer. Beitrag zum Workshop 'Identitätskonstruktionen in fiktionalen und nicht-fiktionalen Texten. Übersetzung und Rezeption' Poznan, 03.11.2008 - 05.11.2008. "Der freie Arbeitsplatz für Sprachdatenverarbeitung" Lehrveranstaltung (6 St) an der Fachhochschule München am 11.07.2008. "Free and Open Source Tools for the Management of Multilinguality", one day course at the 3rd International Summer School in Translation Studies, SummerTrans III, Vienna 07.07.2008. "Legal Terminology" Two-day course at the Law Faculty of Zagreb, Croatia in the Framework of the Tempus Programme "Foreign Languages in the Field of Law", Zagreb, 30.11.2007-01.12.2007. "Weblokalisierung" zweitägiger Kurs an der International Translation Summer School 'Summertrans II', Saarbrücken, 9.5.-10.5.2005. "Globale Webinhalte: Eine neue Herausforderung für Übersetzer" zweitägiger Kurs an der International Translation Summer School 'Summertrans 1', Innsbruck, 15.7.-24.7.2004.